The Milton Friedman Doctrine Is Wrong. Here’s How to Rethink the Corporation. We won’t fix the problem until we address the nature of the corporation. I read this article and found it very interesting, thought it might be something for you. The article is called The Milton Friedman Doctrine Is Wrong. Here’s How to Rethink the Corporation. 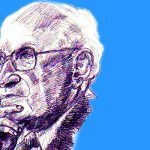 and is located at http://evonomics.com/milton-friedman-doctrine-wrong-heres-rethink-corporation/. The compensation of American executives—CEOs and their “C-suite” colleagues—has long been a matter of controversy, especially recently, as the wages of average workers have stagnated and economic inequality has moved to the center of the national debate. Just about every spring, the season of corporate proxy votes, we see the rankings of the highest-paid CEOs, topped by men (they’re all men until number 21) like David Cote of Honeywell, who in 2013 took home $16 million in salary and bonus, and another $9 million in stock options. Rarely, however, does the press coverage go beyond the moral symbolism of a new Gilded Age. Coverage of CEO pay usually fails to show that the scale of CEO pay packages—and the way CEOs are paid—comes at a cost. At the most basic level, the company is choosing to pay executives instead of doing other things—distributing revenues to shareholders, raising wages for workers, or reinvesting in the business. But the greater cost may be the risky behavior that very high pay encourages CEOs to engage in, especially when pay is tied to short-term corporate performance. CEO pay also plays a major role in the broader trend toward radical inequality—a trend that, evidence has shown, precipitates financial instability in turn. CEO pay has been controversial in the United States for more than a century—for as long as corporate management has been a profession separate from ownership. In economic booms, CEO pay skyrockets and, after the inevitable bust, it attracts attention—as the million-dollar paychecks of executives such as W.R. Grace of Bethlehem Steel and Charles Mitchell of National City Bank drew notice in the 1930s. But the most recent debate focuses on the staggering, uninterrupted rise in CEO pay over the past three decades, following a long period of moderation in both executive pay and in overall economic inequality. Between 1940 and 1970, average CEO pay remained below $1 million (in 2000 dollars). According to the Economic Policy Institute (EPI), from 1978 to 2013, CEO pay at American firms rose a stunning 937 percent, compared with a mere 10.2 percent growth in worker compensation over the same period, all adjusted for inflation. In 2013, the average CEO pay at the top 350 U.S. companies was $15.2 million. Given the polarization and stalemate of current politics, one might expect CEO pay to be one of those issues, like tax loopholes, that the public occasionally gets upset about but the political system, which demonstrably tilts toward the interests of the wealthy, ignores or can’t resolve. But in fact, the cause of restraining CEO pay has had remarkable political success—measured by legislation passed and regulations enacted—since the 1930s, when CEO pay first became a contentious public issue. The problem isn’t that the political system doesn’t want to deal with excessive CEO pay. There have been any number of formal efforts to rein in executive pay, involving a host of direct regulation and tax changes. But most of the specific efforts to reduce executive pay—through major policies such as a limit on the tax deductibility of high salaries, as well as more modest accounting and disclosure legislation—have fallen short. That’s because the story of skyrocketing executive pay is a story about our conception of the corporation and its responsibilities. And until we rethink our deepest assumptions about the corporation, we won’t be able to master the challenge of excessive CEO pay, or the inequality it generates. Is the CEO simply the agent of the company’s shareholders? Is the corporation’s only obligation to return short-term gains to shareholders? Or can we begin to think of the corporation in terms of the interests of all those who have a stake in its success—its customers, its community, and all of its employees? If we take the latter view, the challenge of CEO pay will become clearer and more manageable. It’s strange to imagine, but the position of corporate CEO is a relatively new one in the history of American business, and CEO pay has been controversial for most of that time. According to Harwell Wells of Temple University’s law school, who has written one of the only historical accounts of the CEO pay debate, before the “great merger movement” of the early twentieth century, all but a few companies were small and were run by managers who owned a sizeable portion of the business. At the beginning of the twentieth century, the face of industry was morphing from thousands of small manufacturing firms into fewer large corporations. As owners of these companies opted out of day-to-day management, employee-executives gradually took over their roles, and “management” became a profession. It didn’t take long for CEO pay to begin to climb—and for the American people to object. There is very little information available about CEO pay prior to 1935, when the 1934 Securities Exchange Act implemented Form 10-K, the annual report companies are required to file with the Securities and Exchange Commission (SEC). One of the only surveys available tells us that, prior to World War I, the average salary of an executive at a large corporation was $9,958, or $220,000 in 2010 dollars, which would be paltry for most of today’s mid-management, let alone today’s high-level executives. Convinced that an executive salary would never inspire managers to feel the same stake in their company that owners inherently have, American Tobacco and U.S. Steel were among the first companies, in the 1910s, to institute “performance pay” in the form of bonuses for senior executives, who received a percentage of annual profits in addition to their base salary. By 1928, a survey of 100 industrial companies showed that 64 percent of executives received a bonus, typically in the form of cash linked to the firm’s annual profits. The same survey found that for those executives, bonuses constituted 42 percent of average total compensation. Incidentally, while it’s impossible to do any real comparison with the available data, there does seem to be a noticeable jump in pay after bonuses were introduced. The 1928 survey of industrial firms reports that the median annual compensation for executives was $69,728, or $892,000 in 2010 dollars—four times the pre-World War I numbers. The most comprehensive historical analysis of CEO pay numbers, by Carola Frydman and Raven Saks Molloy, indicates that average pay remained below $1 million (in 2000 dollars) from 1936 to the mid-1970s—despite the fact that there was a lot of company growth during that time span. It even fell in the 1940s: sharply during World War II, and more gradually in the later part of the decade, which, according to Frydman and Saks Molloy, was “the last notable decrease in the past 70 years.” From the early 1950s to the mid-1970s, the inflation-adjusted value of executive pay increased very gradually, averaging less than 1 percent growth a year. Growth in pay picked up speed starting in the mid-1970s and continued until the recent financial crisis, with the most significant increase happening in the 1990s, when annual growth rates topped 10 percent. According to EPI, between 1978 and 2012, CEO pay rose about 875 percent. Starting in 1930, a handful of shareholder lawsuits put the issue of executive pay on the front pages, culminating in Congress’s “Pecora hearings” on the securities industry. The hearings revealed that Charles E. Mitchell of National City Bank (now Citibank), who was blamed for fueling the speculation that led to the Crash of 1929, took home more than $1 million a year leading up to the crash, a revelation that inflamed shareholders and the American public and prompted the federal government to begin to institute reforms, starting in the early 1930s with the Securities Act and the Securities Exchange Act. The New Deal response to the Pecora revelations centered on disclosure, which was already a major component of the nascent structure of corporate reform and Wall Street regulation. As previously noted, the 10-K form on which we find chief executive salaries to this day was created in the Securities Exchange Act of 1934. Soon after, in 1938, the SEC required shareholder proxies to report compensation of the corporation’s top three executives. Since the New Deal, the SEC has, among other regulations, instituted a variety of disclosure rules, including a 2009 rule requiring some companies to disclose what they pay for compensation consulting. And it has recently proposed a strong disclosure rule—mandated by the Wall Street Reform and Consumer Protection Act of 2010, better known as the Dodd-Frank bill—on the CEO-worker pay gap. Another avenue to target executive pay has been through the tax code. Tax provisions specifically addressing executive pay date back to 1950, when restricted stock grants were given preferential treatment. And overall changes to tax rates have likely had a significant effect on executive pay. Thomas Piketty has suggested that a major cause of the sharp rise in inequality beginning in the late 1980s was the tax reform of 1986, which reduced individual rates and closed corporate loopholes, making it more lucrative for executives to take money as salary than to leave it in the company. The IRS offered a technical definition for performance pay but, to corporations’ collective glee, allowed a lot of room for interpretation, so companies quickly began moving executive pay from salaries to mainly stock options and restricted stock grants. If you look at a standard proxy statement, you’ll notice that most companies say outright what sections of their executive compensation packages are designed to avoid being taxed. After In Search of Excess and Section 162(m), CEO pay continued to skyrocket, now at an even faster pace. Using the performance-pay loophole, during the longest sustained run-up in stock prices since the 1920s, the spike was driven by short-term measures of earnings or stock performance. Aside from the occasional anomaly, where pay clearly doesn’t align with performance (as in, for example, the case of JPMorgan Chase’s Jamie Dimon, who recently announced 10,000 potential layoffs by the end of 2014 despite his $20 million in pay last year), one might ask what is so wrong with high CEO pay. Especially when it’s linked to profits or stock performance, haven’t executives earned this compensation? But this is the most tautological of economic ideas. The theory requires very strict assumptions that are found nowhere in the real world, and it cannot be put to the test, because it is impossible to measure the performance of a CEO in terms of his or her marginal contribution to a firm, particularly when success is the function of an entire team. And when “pay for performance” is based on the company’s stock price, it is really “pay for luck,” because more of the share price performance that CEOs are paid for is driven by broader macroeconomic factors, particularly economic upswings, than anything the executives did. But when the economy declines, and the share price goes down with it, executives are usually not penalized. Marginal productivity theory seems to move in only one direction. The foundation of “pay for performance” is “agency theory” or “shareholder primacy.” The intellectual godfather of shareholder primacy is Milton Friedman, who wrote in 1970 that “a corporate executive is an employee of the owners of the business [i.e., the shareholders]. He has direct responsibility to his employers. That responsibility is to conduct the business in accordance with their desires, which generally will be to make as much money as possible,” without breaking the law or cheating people. At a time when CEO pay was less than 40 times what the typical worker earned (the multiple is now more than 350), Michael C. Jensen and William H. Meckling codified Friedman’s argument with their seminal 1976 article, “Theory of the Firm.” The purpose of corporate governance, they argued, is about finding ways to align the incentives of shareholders (whom they referred to as “principals”) and executives (“agents” of the shareholder-owners). This theory has enraptured economics departments and business and law schools for decades and profoundly shaped how corporate officers, shareholders, taxpayers, policy-makers, and even most Americans think about the roles and responsibilities of corporations. Rochet was, if anything, being too kind. While economists are certainly to blame for presenting an ideology as a natural law, shareholder primacy has also infiltrated the consciousness of most politicians and journalists and has been transmitted in our classrooms, to the extent that today, most of the American public has come to take this myth for granted. The idea that there are other corporate stakeholders besides shareholders—the stakeholder framework—is not a new one. But it’s gained traction recently as a result of Rochet’s speech, Stout’s 2012 book, The Shareholder Value Myth, and the emergence of new corporate forms like benefit corporations, which promise to be accountable and transparent about their impact on the environment and surrounding communities, and often aspire to a “double bottom line” of private and public value. A high-profile union-recognition battle at a Volkswagen plant in Chattanooga earlier this year, in which the company not only didn’t challenge the union but actually invited the vote, brought new attention to the German corporate model, based on “works councils” that include labor in decision-making, and a much broader vision of the corporation’s obligations. At the heart of almost every effort to curb CEO pay have been the assumptions of marginal productivity and shareholder primacy. There is no silver bullet to slow the growth of CEO pay. It requires all the tools in our toolbox—the tax code, disclosure and accounting rules, and so forth. But none of those will be fully effective without rethinking the very purpose of the corporation, a question that is too often outside the scope of debate. Before we go any further, we should consider how CEO pay is determined. In theory—and this is what corporations would like us to believe—compensation packages for CEOs are determined by independent boards of directors, by compensation committees made up of members of the board, and sometimes by compensation consultants, who make pay recommendations based on their analysis of the market. But Lucian Bebchuk and Jesse Fried, in their 2004 book Pay Without Performance, argued that this procedure is a comforting fiction. They wrote that skyrocketing executive pay is the blatant result of CEOs’ power over decisions within U.S. firms, including compensation. Being on a corporate board is a great gig. It offers personal and professional connections, prestige, company perks, and, of course, money. In 2013, the average compensation for a board member at an S&P 500 company—usually a part-time position—was $251,000. It only stands to reason that board members don’t want to rock the CEO’s boat. While directors are elected by shareholders, the key is to be nominated to a directorship, because nominees to directorships are almost never voted down. 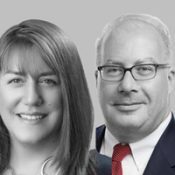 Bebchuk and Fried showed that CEOs typically have considerable influence over the nominating process and can exert their power to block or put forward nominations, so directors have a sense that they were brought in by the CEO. Beyond elections, CEOs can use their control over the company’s resources to legally (and sometimes illegally) bribe board members with company perks, such as air travel, as well as monetary payment. Usually the CEO pay debate pivots on the public’s distaste for extreme inequality. While Thomas Piketty has recently provided us an impressive historical account of how capital accumulation increases inequality, Joseph Stiglitz, in his 2012 book The Price of Inequality, and former Labor Secretary Robert Reich’s recent documentary Inequality for All have moved the conversation by broadening our grasp of how economic inequality, including between CEOs and the typical worker, harms our society. What we haven’t talked about enough is how the assumptions and incentives driving CEO pay, which primarily encourage executives to raise the price of the company’s stock, can damage the economy by encouraging companies to take on excessive risk, rewarding fraudulent behavior and curtailing real investment and innovation. A successful business leader or entrepreneur needs to be willing to evaluate and take risks. Starting a business, moving into new markets, and developing new products all come with great risks—of losing profits, shutting down departments, even closing a company’s doors. One of the main arguments for high CEO pay is that it compensates executives for being exceptionally calculating risk-takers. Yet there is plenty of evidence that shows us that when CEOs are paid with stock—either options or grants—it can enable executives to become very wealthy very quickly without bearing much risk at all. This creates the financial motivation for CEOs to make shortsighted and very high-risk decisions in order to boost their company’s stock prices, which will ultimately line their own pockets. The effects of this behavior, particularly with CEOs in the financial industry, can be measured in higher share-price volatility (meaning large swings in share prices) and in bank failures, such as those of 2008 and 2009, which had profound consequences for the broader financial and economic system. More troubling about the ways in which CEOs are paid is that incentives can easily move from risky behavior toward outright fraud, including misrepresenting the company’s finances and illegal stock-options backdating. The backdating of stock options became a scandal in the late 2000s. By retroactively changing the date when a stock option was granted, typically to an earlier date when the share price was lower, companies can change the baseline by which performance was measured, making it look better than it was, in order to pump up executive pay. At its peak, this was not a rare practice: A study led by Bebchuk showed that between the mid-1990s and mid-2000s, 12 percent of the firms in the sample backdated options for their CEO, boosting total compensation by around 20 percent. Many studies demonstrate that firms found committing fraud have greater stock option-based compensation, suggesting that the greater the incentive for CEOs to maximize the company’s stock price, the greater the incentive the CEO has to engage in fraudulent activities to accomplish this objective. CEO pay that is ultimately based on the stock price invites another easy trick to show performance: stock buybacks. The problem, according to economist William Lazonick, co-director of the UMass Center for Industrial Competitiveness, is that funds for stock buybacks come at the expense of other priorities. By choosing to buy back publicly held shares, executives can push up the price of the stock without actually investing in the company’s capital, research and development, or workers. Lazonick’s research provides many examples. For several decades after World War II, IBM had a lifetime employment policy, which was the norm for that era. In the mid-1990s, IBM shifted gears from manufacturing to software and services, and global employment dropped from 374,000 to 220,000. A leader in the U.S. offshoring movement, IBM announced in 2011 a strategic plan for the years until 2015, the main objective of which is to raise their earnings per share from $13.44 to $20 by increasing “operating leverage” (i.e., layoffs) and buybacks. IBM bought back $107 billion of its stock between 2003 and 2012, $13.9 billion in 2013 alone, and $8.2 billion in the first quarter of 2014. All these financial moves have had the effect of boosting “performance pay” for executives without the slightest improvement in the company’s revenues, market share, or profits. Performance pay, on the model encouraged by the 1993 reform, has been tested. What we’ve learned is that it rewards not performance, but shortsightedness, excessive risk, and even fraud, and that the consequences go well beyond radical inequality to include the kind of crisis that nearly took down the economy in 2008, abrupt layoffs and plant closings to meet shareholder expectations, corners cut on products that risk consumer safety (as seen at General Motors), and desperate attempts to evade the costs of environmental and workplace safety regulation. There is an alternative. If Rochet, Stout, and others are right that a corporation has obligations beyond delivering short-term gains to the shareholders of the moment, then surely that alternative view of the corporation can provide a sounder foundation for thinking about CEO pay. CEOs should be rewarded for productivity and performance, yes, but success should be measured in terms that reflect the interests of all the stakeholders in a corporation, and the corporation’s own health. Simply put, a stakeholder is any group or individual who can affect, or is affected by, the achievement of a corporation’s purpose. Stakeholders include employees, customers, suppliers, stockholders, banks, environmentalists, government, and other groups who can help or hurt the corporation. The stakeholder concept provides a new way of thinking about strategic management—that is, how a corporation can and should set and implement direction. By paying attention to strategic management, executives can begin to put their corporations back on the road to success. The concept of the stakeholder corporation has percolated since Freeman’s book, and interest in this model has slowly begun to take root, particularly since the failed United Auto Workers vote at the Volkswagen plant in Chattanooga. German corporations like VW are far friendlier than their U.S. counterparts to worker rights and “co-determination.” [See “The Church of Labor,” Issue #22. ]Works councils, or Betriebsrat, are essentially “shop floor” organizations that represent workers and institute labor law at the local level. The works council is what the Germans proposed in Chattanooga but, after a drawn-out public battle, workers at the plant rejected the idea by voting against unionization, which was opposed by the state’s Republican politicians, but not by the company. Imagine what becomes possible when we start to understand that executives and managers are not strictly beholden to shareholders—who hold their shares for an average of four months—and share prices. When executives and directors are free to consider a range of stakeholders—workers, suppliers, creditors, customers, shareholders, and the community in which they’re based—in managing a company, it inherently changes their time horizon from the next quarter to the next decade or quarter-century and beyond, because most of these stakeholders have deeper investments in the company. The next steps in controlling CEO pay fall into two categories. The first should involve reconsidering and reversing the failed practices that were the result of shareholder primacy. The second would begin to advance the vision of the stakeholder corporation. The most obvious priority is to close the performance-pay loophole and stop subsidizing pay practices that encourage CEOs to behave like financial speculators. Last year, Democratic Senators Richard Blumenthal and Jack Reed, with Congressman Lloyd Doggett of Texas, introduced the Stop Subsidizing Multimillion Dollar Corporate Bonuses Act, which would cap the deductibility of compensation at $1 million, as Clinton had originally proposed, regardless of the form that compensation takes. The legislation also broadens the range of Section 162(m) by applying it not just to public companies but to all companies that file quarterly reports with the SEC. It would also no longer be limited to CEOs and the three highest-paid executives in a company; it would apply to any employee earning more than $1 million. One small and familiar step, endorsed even by shareholder-primacy advocates, would be to move toward more independent boards of directors by reducing the power of the CEO in the nominating committee. Another option, still based on traditional assumptions, would be for companies to pay their executives for performance only after the fact, with performance measured by what Edward D. Hess of the University of Virginia’s Darden Business School and author of the 2000 book Smart Growth calls “authentic earnings.” Hess identifies “non-authentic earnings” as “numbers manufactured creatively by accountants and investment bankers.” Authentic earnings, based solely on real transactions with real customers, provide a broader and more accurate picture of a company’s productive capacity, engagement with new markets, and technological innovation than share price. Hess also challenges the idea that corporate success should expect earnings growth to be continuous and linear. Successful companies might not always be growing. It would be complex, but not impossible, to structure tax incentives for CEO pay based on the measures Hess identifies. But it’s necessary to go well beyond these steps, which don’t challenge the assumptions that led to the 1993 reform. Yes, we need to reform corporate boards, but let’s do it by following the successful German model and creating a place for workers at the board table. Employee board-level representation is a core part of Germany’s corporate “dual structure”: a management board for day-to-day functions and a supervisory board for more high-level decisions, akin to U.S. boards. Depending on a company’s number of employees, up to half of the supervisory board members are employee representatives rather than shareholders. And yes, we need to redefine performance pay, but let’s reward companies and CEOs that not only keep executive pay down but increase the well-being of all those connected to the corporation. One smart, still-theoretical proposal would adjust the corporate tax rate based on the ratio of CEO pay to the average pay for workers in the company. At the moment, this is difficult to implement, or even to study, because the data on average pay is invisible or unreliable. In some cases, it should include employees of firms, often offshore, that contract solely with the parent company, and it might have to be adjusted based on industry sector—for example, a firm like Apple, where the average employee might be an engineer, will look much better than a firm like Costco, even though Costco pays very well for its sector. But the reporting provision of Dodd-Frank, if implemented effectively, could provide the data needed to develop a policy that would push against inequality in both directions. Beyond policy efforts, we need to change our cultural understanding of what corporations are for. It’s highly ironic that one of the most articulate critiques of shareholder primary was delivered by one of its most grandiose beneficiaries: Jack Welch of General Electric. After years as one of the best-paid celebrity CEOs, and after taking a retirement package worth $417 million, including tax-free perks such as club memberships and the use of private aircraft, Welch told the Financial Times in 2009 that the doctrine of shareholder primacy was “the dumbest idea in the world,” and added: “Shareholder value is a result, not a strategy…your main constituencies are your employees, your customers, and your products. Managers and investors should not set share price increases as their overarching goal…. Short-term profits should be allied with an increase in the long-term value of a company.” A few days later, Welch backtracked, but his words make a biting case against the doctrine on which he built his career and reputation. When even Jack Welch can see that Milton Friedman’s doctrine was no eternal rule, but one economist’s theory with no basis in law, then business schools, economics departments, and financial journalists should be able to do the same. If they can train students, including future CEOs, how to think creatively about the challenges corporations face in building viable businesses that meet their obligations to all their stakeholders, then even if CEOs continue to be well-paid professionals—although not at today’s stratospheric levels—at least they will be paid for helping their companies and communities become better off.